"Okay, Google. Call the dentist!" You cannot call 911 or other emergency services with Google Home at this time. Who you can call, however, are the people in your contacts list as well as one of the millions of business listings that Google maintains. If a standard rate number within the aforementioned countries is not found in either of these lists you can still place a call to it by reading its corresponding digits aloud, a process described in the instructions below. There are several prerequisites that have to be met before you can configure Google Home to make phone calls. The first is to make sure you are running the latest version of the Google Home app on your Android or iOS device. Next, confirm that the Google account which contains the contacts that you wish to have access to is the one linked to your Google Home device. To do so, take the following path within the Google Home app: Devices (button in upper right-hand corner -> Settings (button in upper right-hand corner of device card, represented by three vertically-aligned dots) -> Linked account(s). Finally, check your device's firmware version to confirm that it is 1.28.99351 or higher. This is done by taking the following steps in the Google Home app: Devices (button in upper right-hand corner -> Settings (button in upper right-hand corner of device card, represented by three vertically-aligned dots) -> Cast firmware version. Firwmare is updated automatically on all Google Home devices, so if the version shown is older than the minimum requirement needed to make phone calls you should contact a Google Home support specialist before continuing. 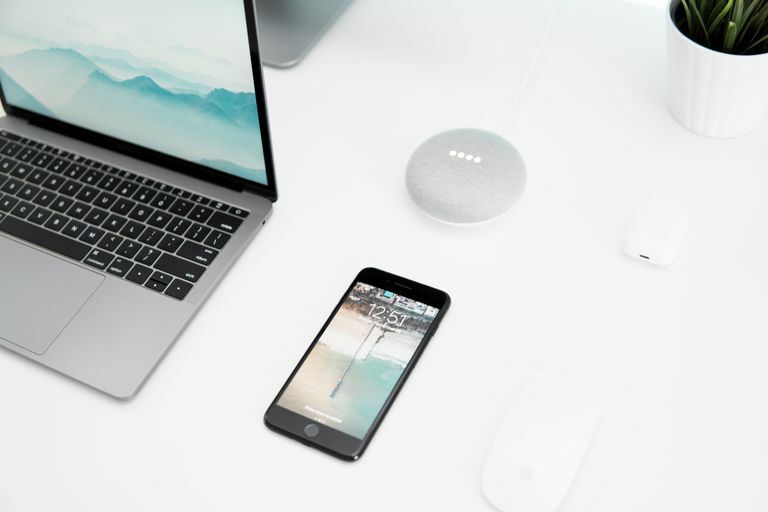 The following steps are only necessary if your Google Assistant language is currently set to anything other than English, Canadian English or French Canadian. Tap the main menu button, represented by three horizontal lines and located in the upper left-hand corner. Ensure that the account shown is the one linked to your Google Home device. If not, switch accounts. Select the More settings option. In the Devices section, choose the name given to your Google Home. Select one of the three allowed languages. In order to access your contact list with Google Home, the Personal results setting must be enabled via the following steps. Select the button accompanying the Personal results slider button so that it turns blue (active), if not already enabled. All contacts stored within your Google account are now accessible by Google Home for making phone calls. You can also sync all contacts from your smartphone or tablet so that they become available as well. This step is optional. Open the Google app on your Android smartphone. This is not to be confused with the Google Home app referenced in previous steps above. Tap the menu button, represented by three horizontal lines and located in the upper left-hand corner. Choose the Accounts & Privacy option, located in the Search section. Select the Device information option. At the top of the screen is a slider button accompanied by a status which should read either Paused or On. If paused, tap on the button once. You will now be asked if you want to turn on Device Information. Select the TURN ON button. Your device's contacts will now be synced to your Google account, and therefore to your Google Home speaker. This can take some time if you have a large number of contacts stored on your phone. Download the Google Assistant app from the App Store. Open the Google Assistant app and follow the on-screen instructions to integrate it with the account associated with your Google Home device. This is not to be confused with the Google Home app referenced in previous steps above. Prompt the Google Assistant app to call one of your iOS contacts (i.e., Ok, Google, call Jim). If the app already has the proper permissions to access your contacts, this call will be successful. If not, the app will ask you to allow it such permissions. Follow the on-screen prompts to do so. Before placing any calls it's important to know which incoming number will display on the recipient's phone or Caller ID device. By default, all calls placed with Google Home are made with an unlisted number–typically showing up as Private, Unknown or Anonymous. Follow the steps below to change this to a phone number of your choosing instead. Tap Calls on speakers, found in the Services section. Choose Your own number, located under Your linked services. Select Add or change phone number. Pick a country exchange from the menu provided and type in the phone number that you wish to appear on the recipient end. You should now receive a text message at the number provided, containing a six-digit verification code. Enter this code in the app when prompted. The change will be reflected instantly within the Google Home app, but may take ten minutes to actually take effect in the system. To remove or change this number at any time, simply repeat the steps above. You're now ready to place a call through Google Home. This is achieved by using one of the following verbal commands following the Hey Google activation prompt. Call [contact name]: This command will initiate a call to whichever personal contact that you specify. Call [business name]: This will call a particular business based on its name in Google's listings. What is the nearest [business type]? : Allows you to locate a nearby business (i.e., gas station) and follow up with a call if you wish. Call [phone number]: Lets you make a call the old fashioned way through Google Home by speaking its digits aloud. Redial: Redials the last number called through your Google Home speaker. To end a call you can either tap the top of your Google Home speaker or speak one of the following commands. While most calls placed with Google Home to the United States or Canada are free, those made using your Project Fi or Google Voice account may incur charges per the provided rates of those services. To link a Project Fi or Voice account to your Google Home, take the following steps. Choose either Google Voice or Project Fi from the More services section and follow the on-screen prompts to complete setup.